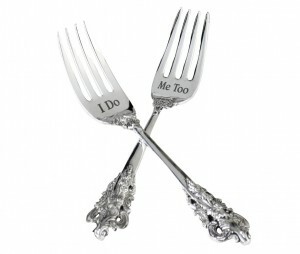 I Do and Me Too fork set makes the perfect keepsake for the happy couple on their wedding day. Ornate handles give these forks an elegant edge. They measure 6.5 inches and are silver-plated.